ADIDAS performance short sleeve technical crew in lightweight 100% polyester Climalite fabric. 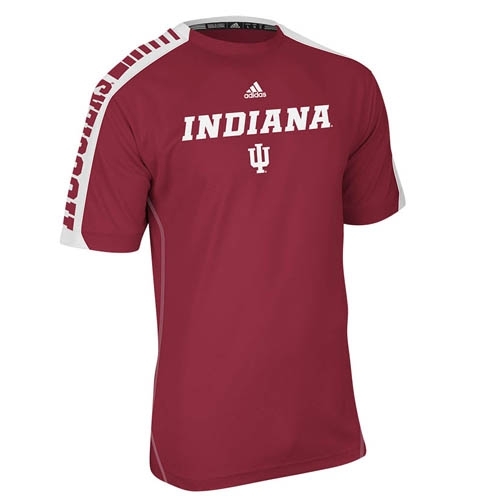 This Sideline 'Swagger' shirt is screen printed with Indiana IU on the front and Hoosiers on the right sleeve. Adidas Climalite function keeps your body dry by drawing sweat away from the skin. Stay dry & comfortable! Adult (unisex) sizes.